We put in a lot of work in our aesthetics, some due to the fact that it acts to boost our self-esteem while others simply as a form of self-expression. Whatever the cause may be, make-up and cosmetics have become a large part of our day-to-day life, even for people who are not considered superficial in the general sense. From weekend night-outs to our daily office commutes, we rarely go a second in the outside world without make-up on. 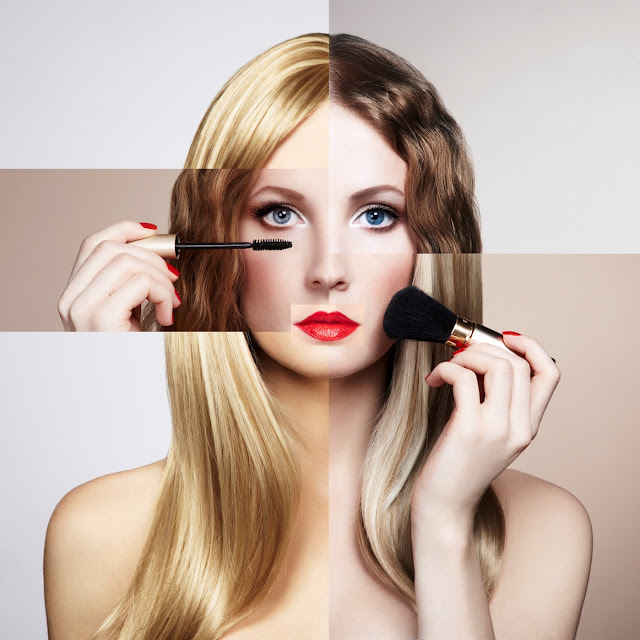 As aesthetically appealing as that is, prolonged exposure to make-up and cosmetics can cause damage to your skin. The skin is a very resilient organ by itself; it goes through radiation and takes countless harmful chemicals head-on in order to keep everything underneath it protected from the harsh outside world. Because of its resilience, we often make the mistake of thinking that since the skin shows no evident signs of damage, that the skin is completely fine. However, long-term exposure to these harmful chemicals can cause our skin to deteriorate with time. Risking your literal skin for aesthetics is never a good thing to do, and it could cause lasting damage. The chemicals in our makeup are only designed to coexist with one’s skin. They are not, however, designed to fulfil the needs of the skin and to meet the skin’s nutritional requirements. When we apply makeup, the pores in our skin are mostly blocked too, and the skin is left with little to no room for breathing. What this, in turn, does is that it can make the oils being produced by your skin, accumulate within the pores. The pores, once filled with oil, have now become a very good pool for the growth of bacteria that cause acne. Just a few of these blocked pores are enough to spread these bacteria across the face and turning an otherwise fine face into a mountain range. Another reason makeup contributes to your worsening skin condition is that it layers up on your skin and this may cause your body temperature to rise. This can cause an imbalance in the pH levels of your skin. Your skin must maintain a certain pH level in order to be in a good enough condition. An imbalanced pH level is not something you should be direly concerned with, as there are not many health risks of this, however it is hell if you worry about the way you look. The skin on your face is very gentle as it rarely touches any foreign surfaces, as opposed to every other part of your body. This makes the skin on your face extra vulnerable, as it would not take much effort to cause an outburst. There are certain types of makeups one must avoid as well, such as waterproof makeups . As the name suggests, water has little to no effect on these, but these are, for the most part, redundant. Most people use these products, such as waterproof mascara, thinking it would last longer and stay in shape throughout, however the truth is that this sticks to your skin even more closely than regular mascara, shutting down all your pores and making it impossible for the oils from the oil pores to get to the surface of the skin. Repeated use (which is often times the case) can actually contribute to you developing an acne problem if you don’t already have one. If you are one of the many people who have been using these products under the impression that they do no lasting damage to your skin, there is no need to worry. You can probably still reverse the damage caused by said product by simply taking care of your skin for the next week or so. There are scrubs you could use to take care of the layer of dead skin cells so that there are no obstructions for the cells to breathe freely and for the skin’s oil pores and sweat glands to do their work properly. Finding a product that works for you is all a matter of what sort of skin type you have and by reading proactive reviews you will know what would work best for you as skincare varies from skin type to skin type.